Nigerian OAP daddy freeze who is known for always condemning, and always seeing everything bad about a man of god being rich is on Oyedepo again. that amount is an insult to him as he quotes from Philippians 4 VS 19 which says “my God shall provide all my needs according to his riches in glory”. Well daddy freeze did not react to this well as he shared the video on his instagram page and he made some condemning write up on the act. “Carnal and ‘out of context’ quoting of the scriptures. A literal translation, taken directly from KJV gives a carnal understanding. Job 22 vs 24, Amplified Bible it says ‘and place your gold in the dust and the gold of Ophir among the stones of the brooks [considering it of little value]”. 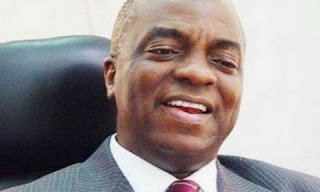 Daddy freeze had criticized David Oyedepo over the weekend when Oyedepo said that Christians are too small to fund God’s church.